My plans to get organised and start my simplify my life challenge has taken a bit longer than anticipated to get going. A combination of a back injury plus a very busy period with events, projects and all that other time consuming stuff. So I’m starting off with an easy one. 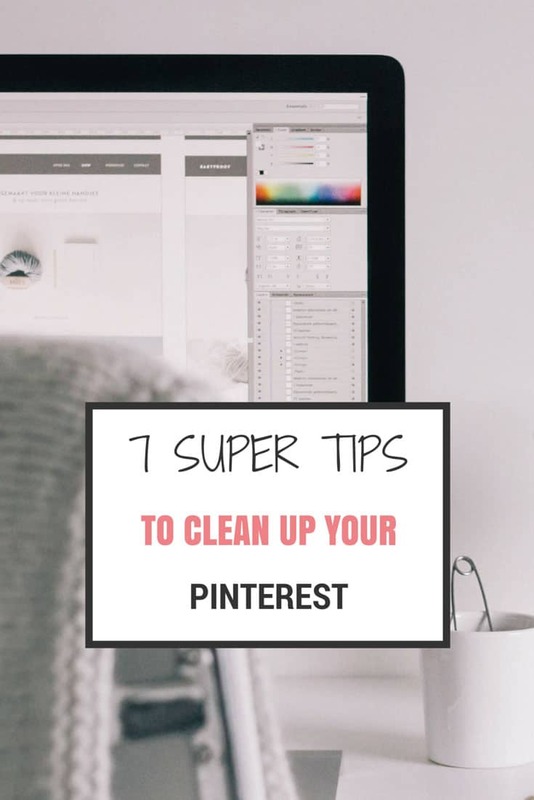 It may not be something you’ve considered but if you happen to have been on Pinterest for a while like I have, over time your boards get a little messy. You may find you’ve repined something multiple times (although this happens less often now… thank you Pinterest), or you’ve got 3 boards of the same sort of thing for example. It gets messy. A disorganised Pinterest also means it takes you longer to find that Pin you desperately need right this second for that recipe you want to try or project you want to make. That’s time better spent doing the creating… not searching aimlessly. This may mean editing each pin one by one to move them all into the same board, but it’s worth it in the long run. For example, do you really need a home design and a home organisation board, or is one simply called ‘home’ just as good? Probably. Simple names make everything… well, simple. They are also easier to search for by other pinners so it makes everyone’s life a little easier. One or two words can usually sum up most boards. I was getting frustrated by the fact that my boards were in the order of when I created them rather than alphabetically. Sounds a little OCD, but alphabetical is so much easier to find the board you want when you have a lot of boards. Organise yours to suit your preference. Every so often if time permits, go through and delete any pins you know are definitely not relevant to you or no longer needed. Sometimes we all get a little pin-happy so it’s nice to have a spring clean and purge those unwanted pins. When you Pin a new item, use a few key words to describe it. Makes it easier for everyone in future, including you, when searching for a particular something. You have 8000 recipes pinned and can never find the one you want. Time to split that board into sub-categories. Start each with the same heading, but add a sub heading, such as Recipes – Dessert, Recipes – Mains etc. That way you may only have 3000 pinned recipes on one board instead. You know the ones… you click the Pin and it takes you to nothing but the image, or a website that no longer exists. If it is a content based Pin, it’s pretty much useless to you so unless you’re really attached, ditch the duds and focus on finding proper content. You can check out my Pinterest boards here or check out my year long Simplify My Life challenge to declutter, simplify and organise your whole life. Are you a Pinterest addict like me? Link your account in the comments so we can come follow you. Thanks Sasha. Only thing is my boards keep going out of alphabetical order. Total mystery! I desperately need to do this! My boards are out of control. Thanks for the reminder and the tips! Alphabetically organising my pinterest boards was the best idea ever!